Ebooks are extremely valuable and effective tools for marketers especially B2B marketers.They position your brand as a thought leader and allow audiences to engage with your products and offerings through different lenses. They are also useful transactional tools that can be used to collect quality leads to market to at a later date. 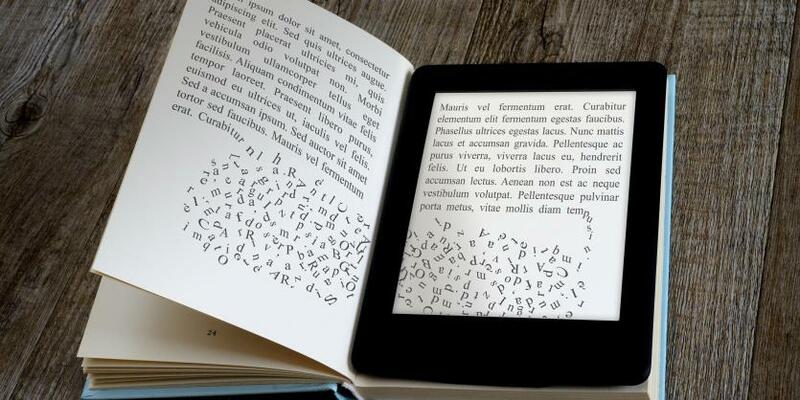 It's true that when ebooks are executed poorly they can be relatively fruitless. In May, Jay Acunzo demonstrated how if ebooks don't save their audience time or money, they underperform for lead generation vs. other content marketing tactics. Perhaps this is a reason why they are currently less popular among B2B marketers than other long-form content. Success with ebooks for lead generation requires proper strategy, design, distribution and tracking. Make it available for free. You're not in the business of selling ebooks (unless you are). You're out to sell your own product. So if possible, don't make the audience pay with money to learn about it. Instead, collect other information that will be more valuable to you as a content marketer, like an email address so that you can segment groups of readers who have read your eBook and target them later. Choose a straightforward topic. Even if your topic isn't straightforward, take a simple spin on it and make it as accessible as possible. Create something you believe a lot of people will appreciate and learn from, not something that's too obscure. Time it well. Pay attention to your industry and see what is happening. What are people talking about? We released our micro-content ebook, for instance, just as the trend of creating content for social channels was gaining momentum and not long after Gary Vaynerchuk dedicated a whole chapter to it in "Jab, Jab, Right Hook." Create something new. It's likely that someone will have written on your topic before acknowledge that and build on it. Do your research, see what's out there, and make sure you do it better or differently in some way. In the case of our micro-content ebook, we were sure to provide plenty of examples since we saw they were relatively scarce in a lot of existing pieces. Educate first, sell second. Inform your users about the space as a whole and enable them to explore what else is in it. Don't be afraid to talk about the benefits of other products you don't sell. The best customers have done their due diligence. Build trust with your audience, then introduce your value proposition. Provide examples to support your argument. Ebooks are useful for lead generation when they're practical and not entirely theoretical. Remember, the goal is to save your audience time and money. Inspire them to action. Like anything else, ebooks have unique constraints when it comes to design. Recognize these constraints up front in order to maximize the ebook's potential and keep it engaging. Make it "skimmable. "Ebooks are not meant to be read cover to cover. Your audience wants to focus on the sub-topics that interest them – let them. Make it easy for them to find the parts they’re looking for by adding bullet points or thumbnail images in the margins or in an interactive table of contents. Kill your darlings. The age-old advice applies. Recognize when text is necessary and be ruthless with eliminating it. Your audience is not going to know what you cut out and whatever remains will be much stronger (because they'll actually read it!). Replace text with visuals. People are attracted to visual content and the more you have, the more time they'll spend with your ebook. It will be easier for them to skim this way, too. Don't underestimate what you can do. The ebook must evolve with its medium. Stay up to date and take advantage of technology. An ebook is not just an image of a book online. Include trackable hyperlinks by using bit.ly or UTM parameters so you can see how engaged your audience is with material and direct them elsewhere based on that information. Leverage your relationships and partnerships. Ask any content partners if your ebook is something they can promote through their social channels, newsletters or blogs. Reach out to relevant publications and see if they'll help you share it: It will be worth it. Tweet at influencers who have written about similar topics. Ask your friends in the industry to help you promote it. It’s OK to wait until your ebook is complete, but it can also be useful to contact people prior to its release. Send them an early copy and ask for their input. If they've contributed in some way up front they'll be more interested in helping you distribute it later. Make your ebook a currency for your audience. Make it discoverable from many points of entry. Try searching on Quora, subreddits or inbound.org for discussions around your ebook's subject matter and leave a link. At Visually, we've used Uberflip for hosting a lot of our content. We've also used Slide share and DoxIQ. This way we're sure to capture the emails of those viewing or downloading our content. Another way to make your ebook discoverable is to add banners on your homepage. Split test what works. Set a link in your company's signature. Your company's employees can be a promotional resource. WiseStamp is a good tool for this. There is a plethora of software available to help measure the success of an ebook at each stage of your unique marketing funnel — whether it's for lead capture or for engagement with the content itself. For instance, Bizible will help you see not only which leads converted because of an ebook download but also which users have engaged with other pages that promote it. You're able to view referrer pages for each user session as well and information about existing contacts and opportunities. We use DoxIQ not only to host our ebooks but also for more advanced insights about user engagement. Like Slideshare and Uberflip, it can be set up to capture emails before allowing a user to view or download the ebook, which can be extremely valuable as people are apt to send the link around to their contacts and teams. It captures referral information and can display your ebooks on your subdomain so you do not lose your own tracking. It also scores user emails based on their interactions with different pages of the ebook itself and it can be set up to pass that information through to your existing databases. This can help you prioritize contacts for outbound sales or other marketing campaigns, as well as gain insights on what's effective within your content for future ebooks or current distribution strategies. DoxIQ can also integrate with Olark Chat, which for us has helped bring in over 25 percent of our opportunity amount in recent months — and the messaging can be customized per page. That way Olark can be optimized for each stage of the funnel: It can work as an information hotline for prospects reading your ebook, while on product pages it can still be set up for direct lead capture or sales. No matter what you use, it's crucial to share all tracking insights with your team and take real action based on that to improve your ebook marketing initiatives. Score your prospects differently in your marketing-automation software based on how they're interacting with your ebooks. Notice which referral pages are driving the ebook downloads and leverage that. See which parts of the ebook worked and which didn’t and take note for future (or current!) designs.